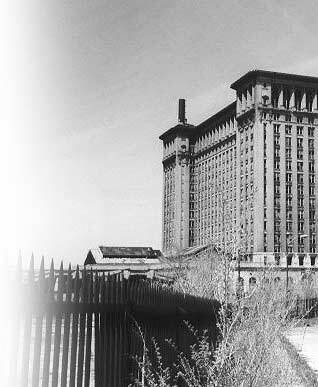 No other Detroit ruin has become such a center of attention as the Michigan Central Depot. It has been the subject of countless newspaper articles, books, and even TV commercials. Perhaps this attention is due to the station's monumental but battered architecture. Nothing else in the city can quite match it for shear magnificence. Personally I like to view it as the ultimate symbol of the automobile's complete triumph over public transportation. Thus it seems fitting that the MCS receive the attention that it does.